Inishowen Tourism representatives Siobhan Kelly and Heidi Woods were pleased to attend the Annual Tourism and Hospitality Research in IrelandConference (THRIC) from 11 – 12 June. The conference was officially opened by Minster Joe McHugh TD on the morning of 11 June. In conjunction with LYIT, RadissionBlu Hotel, Letterkenny, the Tourism College at Killybegs hosted the 11th Annual Tourism Conference 2015.The conference runs on an all-Ireland inclusion providing an annual opportunity for the dissemination and presentation of research facilitating the tourism sector including hospitality and culinary operations. This year’s conference theme ‘CollaborativeSustainable Development - The Way Forward for Tourism’ featured over 35 research presentations and was addressed by four key note speakers from Ireland, Scotland, England and Spain. These speakers included, Mr Pat Mccann, Chief Executive of Dalata Hotel Group PLC, Dr Diane Dodd, Director of IGCAT (International Institute of Gastronomy, Culture, Arts and Tourism), Barcelona, Ms Helen Campbell, Head of Global Brand and Customer Marketing, Visit Scotland, Professor Kevin Hannam, Professor of Tourism Mobilities at Leeds Beckett University. Over the past decade the issues of collaboration and sustainable development have focused largely on the agenda of tourism and hospitality scholars. This emphasis highlights the critical importance of sustainable development within the tourism and hospitality industry; however the increasing challenge is to build and maintain inter-stakeholder collaborative links. By establishing a forum, not only for tourism and hospitality scholars, but inclusive of other disciplines with different perspectives, THRIC workshops play an important role in the development of a research programme. These include economics, marketing, human resource management, organisational behaviour, product development, tourism and hospitality education, technology and innovation. Although research in the tourism and hospitality industry has progressed significantly in the last decade, our understanding of many aspects remains limited. There is much yet to be explored. Important questions remain as to how collaborative relationships can be built, maintained, and repaired in the multiplicity of contexts. Under the umbrella of Research and Development Heidi Woods – Inishowen Development Officer, submitted a paper for the conference and presented “On the Crest of a Wave” Donegal and the Wild Atlantic Way (to read the paper submitted please click on the link) . Also from the peninsula Charlie McCarron presented research from the community research he has undertaken in Inishowen. In collaboration with LYIT and Failte Ireland, Charlie has ongoing research on the “Wild Atlantic Way as a catalyst for tourism and employment development in the North West of Ireland”. 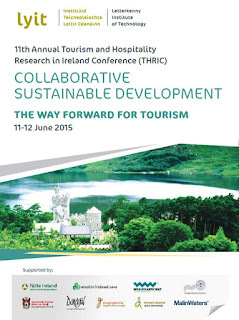 · To engage with research that is currently under review, “Sustainable Tourism”. · The Conference Paper is concerned with “The Wild Atlantic Way” project currently topical for future development in the peninsula. · The paper reviews a snapshot in time at a given point re- Slieve League and surrounding area can be applied to all three signature points; thus Malin Head and surrounding area. 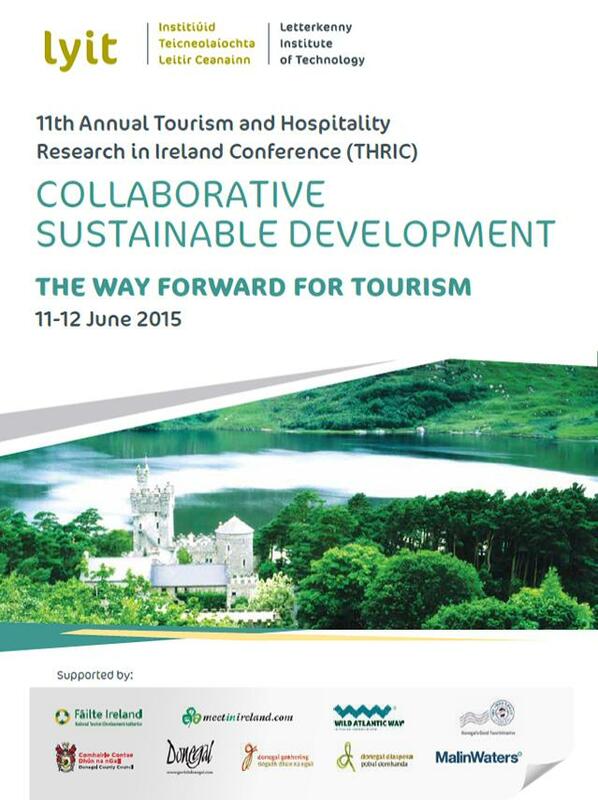 · To encourage networking and a collaborative approach with tourism in Donegal. · To gather evidence for funding based on valid research and to develop the provisions in Inishowen; in terms of services in the tourism sector. Information collated by Inishowen Tourism during the first half of the peak season in July 2015, signified a shortage of accommodation especially at the weekends. Alternative accommodation requests for camping, glamping, motorhome parks are becoming very popular in addition to the hotel and B&B sector. Research carried out by the Development Officer, Heidi Woods at Slieve League area may support the tourism sector here in Inishowen by identifying gaps in the current offering and informing potential for future projects. Thanks for sharing keep updating, Click here to know more about our services.